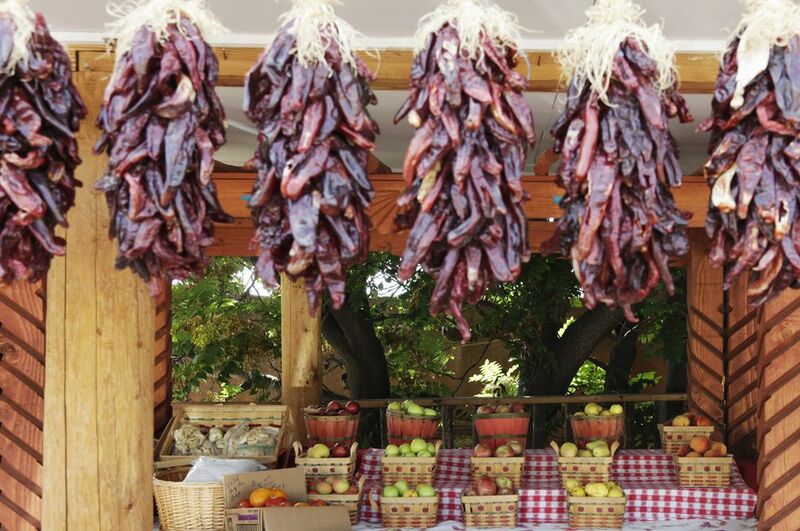 What's in season in New Mexico? Find these fruits and vegetables (and nuts!) in New Mexico. Depending on your area of the state, growing seasons and crop availability from your immediate locality will vary. Northern New Mexico has a shorter growing season than do Central and Southern New Mexico, although cool weather crops like arugula and lettuce are available for longer periods in the north. In the warmest areas, seasons start earlier and last longer (some items like greens, carrots, beets, and radishes may be harvested year-round in the most temperate areas); in colder areas harvest times start later and end sooner. You can also look up produce by seasons: spring, summer, fall, winter.